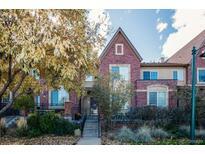 Below you can view all the townhouses for sale in the Brownstones At Town Center subdivision located in Highlands Ranch Colorado. 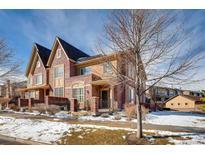 Listings in Brownstones At Town Center are updated daily from data we receive from the Denver multiple listing service. To learn more about any of these townhouses or to receive custom notifications when a new property is listed for sale in Brownstones At Town Center, give us a call at 720-606-6881. Easy access to the hwy and close to parks, restaurants, shops, and public transit. MLS#3917605. Your Castle Real Estate Inc.
Add to this extra insulation in basement ceiling for added soundproofing, new furnace, humidifier, H2O heater, AC (all 2016), plus fabulous amenities of Town Center! MLS#8604296. RE/MAX Professionals.